Home Why Did These TKAs Fail? Why Did These TKAs Fail? Understanding the variety of failure modes for total knee arthroplasty (TKA) will help the orthopaedic surgeon diagnose and recommend appropriate treatment when a patient complains of pain or other issues following a primary procedure. It can also help the surgeon avoid complications in the future. 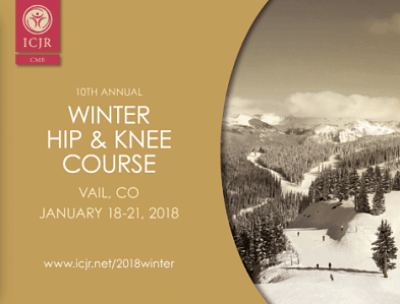 At ICJR’s Winter Hip & Knee Course, Bryan D. Springer, MD, from OrthoCarolina in Charlotte, North Carolina, moderated a case-based panel discussion that featured 5 failed TKAs. Faculty presented their cases, solicited feedback from the panel members, and then revealed how the cases resolved. As our panel demonstrated, even the most experienced orthopaedic surgeons have patients whose knee replacements fail. Next articleWhy Did These THAs Fail?